I’ve been thinking alot lately about what it means to live with an open heart and I’ve decided that like most things. what it means to me is not necessarily what it means to someone else. So for me, living with an open heart means living my life without judgement, at least as much as I consciously can live without judgement. I am after all, still human, and subject to all the ego-based things that go along with the human experience, so Obviously, some days I do better with this than other days. And honestly, sometimes it has to be taken topic by topic. But when I choose to keep my heart open, then I get the opportunity to evaluate those judgements and see how they may be holding me back or causing me limitations, and then I can transform them and improve my experience. Living with an open heart allows me to feel how I feel and be in touch with those feelings. I don’t have to do anything with the emotions that arise, I just let them come up and move through me. There is always time to look at what comes up later, yet in the moment, I do my best to let the energy of the emotion to just move through me. In our society where we are taught to “do” instead of “be,” this takes some practice. 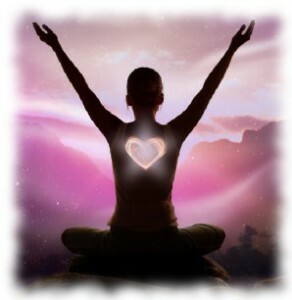 I have shared an Opening the Heart Meditation with many of my clients to help them get in touch with their emotions as we are use hypnotherapy to help them resolve issues in their lives. To help them undo their conditioning. It’s easy to want to lash out at someone if the emotion that comes up is hurt or anger, and conversely, many of us have been taught to deny our feelings so we suppress them instead of feeling them. When you live with an open heart, though, you don’t lash out or suppress. You acknowledge and feel. When you acknowledge and feel your emotion then the energy of the emotion (energy in motion) moves and transforms instead of getting stuck and trapped. Your health improves. Your outlooks improves. Your life improves in every way.